Note: The competition is now closed! A little bored with Lost not being on your screens? Want something other than the ARG to satisfy your Lost addiction? Well, why not play Lost: Via Domus - the official Lost game! Explore the Island as Elliott Maslow, a survivor suffering from memory loss after the crash of Oceanic Flight 815. Along the way, interact with all your favorite characters, including the Others. Uncover your past, and try and figure out how to get home! 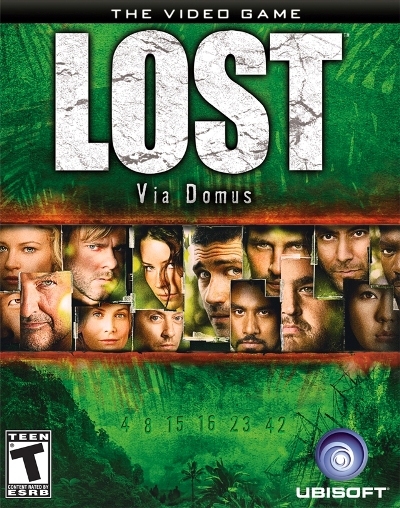 We're offering one user a free copy of Lost: Via Domus for PC. Note you'll need a relatively new computer to run the game (check all the tech requirements here). As for legal mumbo jumbo - the winner will get a copy sent to them anywhere in the world, but whether I do priority mail or normal mail will depend how much it costs :) I also can't be held responsible if the prize suddenly gets lost itself in transit. All rights reserved, you agree that upon entering you relinquish rights to sue, I will protect any personal info given to me, yada yada, blah de blah. The skill in my trickery, I'm sure you'd agree, is certainly quite top-notch! Don't worry, it'll be fine.